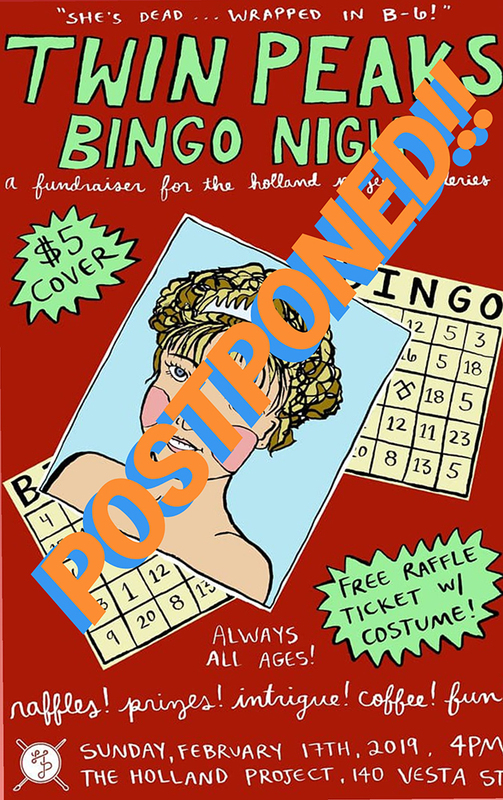 *POSTPONED* Twin Peaks Bingo Night! Join us for the first ever Holland Project Galleries Bingo Night! February’s theme is TWIN PEAKS so dress as your fave character and get ready to win some rad themed prizes. There will also be music, coffee, and PIE! Free entry for all Holland Project Members, otherwise $5 gets you in – costumes are optional, but will get you a free raffle ticket!